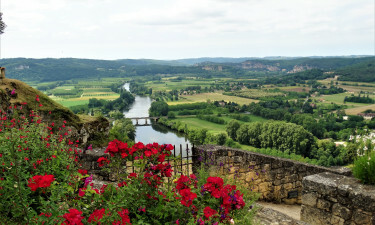 Set in the heart of the Périgord Noir, region, Le Carbonnier boasts a wealth of impressive natural attractions to discover. Guests are sure to have fun exploring the atmospheric Lascaux Caves, while special guided tours are offered of the Chasm of Padirac. The site is situated just 500 metres from a charming traditional village and guests will be able to stroll here during their leisure. A gently flowing river is also within easy walking distance and activities such as boating and fishing are available here. When it comes to luxury camping, you can trust LuxCamp to deliver nothing but the best. The kids will have plenty of fun during their camping holiday when they take part in the special activities that are available through the children’s club. A small farm can also be found on the site as well as an adventure playground. 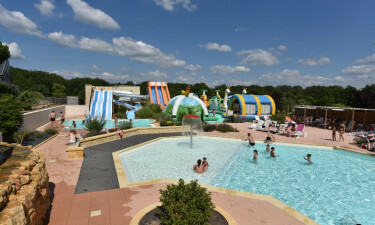 One of the most attractive features that Le Carbonnier boasts is a water park complete with waterslides and a plunge pool. There are plenty of modern laundry and washing facilities as well as an excellent restaurant and a shop that sells fresh local produce.